Property 1: Beautifully Updated Pinetop Lakes Country Club Condo In The Pines! Property 4: Christmas is still OPEN! $100 SPECIAL on Non-Holiday Dates! Property 6: Livin in the Pines....100% Satisfaction Gaurantee! 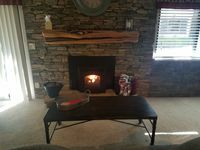 Property 7: Cozy Pinetop Condo w/ Deck Near Golf & Tennis! Escape the heat and head for the aspens! Property 18: Escape the heat and head for the aspens! Escape the heat! Still available July 7 through August. You’ll love it. Property 22: Escape the heat! Still available July 7 through August. You’ll love it. Mountain High Getaway 3BD,2BA, 1515SF, Golf, Tennis, Fishing & Hiking! Property 25: Mountain High Getaway 3BD,2BA, 1515SF, Golf, Tennis, Fishing & Hiking! Fun For The Whole Family - Large Porch In The Trees - Loft Games For The Kids! Property 26: Fun For The Whole Family - Large Porch In The Trees - Loft Games For The Kids! Don't look any further ! Beautiful 3 BR 2 Bath Retreat in Pinetop AZ. Property 29: Don't look any further ! Beautiful 3 BR 2 Bath Retreat in Pinetop AZ. Property 33: NEW! 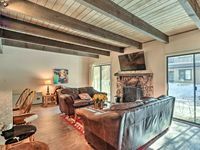 Private Pinetop, AZ Condo w/ Deck + Bikes! Perfect spot in the Pines! Property 40: Perfect spot in the Pines! Spacious and Updated Condo in the Pines! Property 43: Spacious and Updated Condo in the Pines! Beautiful, Family Friendly Retreat Available! Property 47: Beautiful, Family Friendly Retreat Available! Very clean, roomy. The kitchen isn&rsquo;t stocked with a ton, but it&rsquo;s plenty for an easy breakfast Plenty of blankets and pillows. It was perfect.